Can I configure a 'catch-all' alias for my domain? I would like to have the ability to receive all emails sent to my domain without corresponding email addresses. Yes. This functionality is setup by creating an email alias named 'nobody'. The destination of the nobody alias is where the emails received by the 'catch-all' alias will be sent. Can I handle my own mail? I want to point my mail exchange to another server, is that possible? Yes, it is possible for us to change the MX records of your DNS entry to allow other servers to handle your email. We allow 1 free DNS zone customization for every account. Subsequent requests are subject to service charge. Change requests can be sent to us through our Contact Us Form. Can I remove the VIP PowerNet footer from my outgoing messages? No. Our trailer message cannot be removed from email sent from our server. Does VIP PowerNet provide SMTP service? No. SMTP service should be provided by your local internet service provider (ISP). Please contact your ISP for assistance on the correct SMTP server to use. How can I keep a copy of forwarded email in my mailbox? To keep a copy of forwarded email in your mailbox, precede the forward destination with ., (dot comma). If mail was forwarded to support@vipwh.com, to leave a copy in the mailbox the forward destination would be specified as .,support@vipwh.com. How can I modify my email accounts? You can manage your email accounts by logging into the email administrator account through VIP PowerNet Web Messaging and select 'User Administration'. From here you will see any accounts that have been created previously. Click 'Modify' to modify an existing email account. How do I change email passwords? To change your email administrator password, login to Member Section and select 'Change My Password'. The password will be changed for email administrator as well as FTP and VIP PowerNet management password. 1. Login to the standard user email account through VIP PowerNet Web Messaging and select 'Change My Password'. 2. Login to the email administrator account through VIP PowerNet Web Messaging and select 'User Administration'. Select the user to change password and click 'Change Password'. You can manage your email accounts by logging into the email administrator account through VIP PowerNet Web Mail and select 'User Administration'. From here you will see any accounts that have been created previously. Click 'Add' to add a new email account. To use newly created email accounts, you will have logout of email administrator and login to the respective account to use it. How do I setup my email auto responder? First, you will need to login to your Webmail account via the Webmail Login. Once logged in, select ?Options? and you will able to find the function to setup your auto responder message. How do I setup my email program? To find out how to setup your email program, please refer to your account setup instructions at Member Section or to the Tech Support Tutorial. How many email accounts can be setup for my domains? 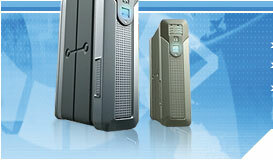 Currently minimum 50 email accounts are provided with VIP PowerNet Basic plan. 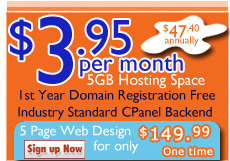 You can choose other hosting plan to have more number of email accounts. Checkout our Shared Hosting section for more details. Please contact us if you would like to order additional email accounts. I am receiving a "TCP/IP socket error". This usually means that your connection to the internet has dropped or is not responding. You will need to disconnect and reconnect if you are using a modem. You may also need to reboot your PC to reset your modem or network connection if it is not responding. Is there a way to access my email via IMAP server? No. VIP PowerNet only offers POP email service at this time. IMAP is not supported. My VIP PowerNet email account is receiving SPAM. How did they get my e-mail address? Spammers target individual users with by sending bulk unsolicited commercial email messages. Email addresses are collected and entered into spam lists by scanning Usenet postings or newsgroups, or searching the web for addresses, or users unwittingly providing their email addresses, or computer generated email addresses. My e-mail program is prompting me for the user name and password, but I am certain it is correct. Your user name should be entered in the format: username@yourdomain.com. What do SMTP, POP, Mail Relay, Mail client and MX record stand for? SMTP (Simple Mail Transfer Protocol) is a TCP/IP protocol used in sending and receiving e-mail. However, since it's limited in its ability to queue messages at the receiving end, it's usually used with one of two other protocols, POP3 or IMAP, that let the user save messages in a server mailbox and download them periodically from the server. Users typically use a program that uses SMTP for sending e-mail and either POP3 or IMAP for receiving messages that have been received for them at their local server. POP (Post Office Protocol) is a standard mail server commonly used on the Internet. It provides a message store that holds incoming e-mail until users log on and download it. POP3 is a simple system with little selectivity. All pending messages and attachments are downloaded at the same time. POP3 uses the SMTP messaging protocol. Mail Relay The use of a mail server from a connection outside of the immediate network. Open Mail Relays are the source of most originating junk e-mail. MX Record Mail Exchange Record. A DNS resource record type indicating which host can handle electronic mail for a particular domain. Mail Client An e-mail program that resides in the user's computer and has access to mail servers on a network. An Email Client is an application that runs on a personal computer or workstation and enables you to send, receive and organize e-mail. It's called a client because e-mail systems are based on a client-server architecture. Mail is sent from many clients to a central server, which re-routes the mail to its intended destination. What is the maximum size of file attachment that can be sent to my email account? The maximum size of a file that is attached to an email sent through our servers is 3MB for standard email. Starting from 10MB of disk storage quota is provided for every email account. An email alias is simply a mail forwarding function. An email alias does NOT have its own storage space and mail sent to an alias must be routed to an actual email address. This destination address can either be under the same domain name, or it can be a completely separate email account. Will the VIP PowerNet Web Hosting service remove the trailer message on the footer of my outgoing email sent from Webmail? Yes, using the VIP PowerNet Web Hosting service will remove the trailer message on the footer of your outgoing email sent from Webmail.